I created an account for some market research. 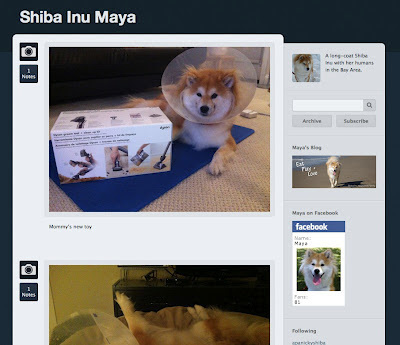 Anyways, Maya is now officially on Tumblr. It took me a while to figure out a nice way to show my Tumblr photos on the sidebar of this blog. I started with the script from JI Apps, and made some modifications so it'll show up nicely in two rows. Worked much better than other fancy "widget creator" or "rss importer".